Aurelle; Timeless gold jewellery that sparkles with Swarovski Cubic Zirconia elements. 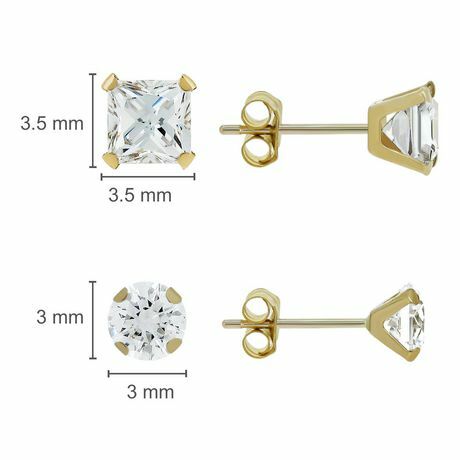 This 14KT yellow gold earring set feature one pair of 3mm round Swarovski cubic zirconia and one pair of 3MM square Swarovski cubic zirconia. 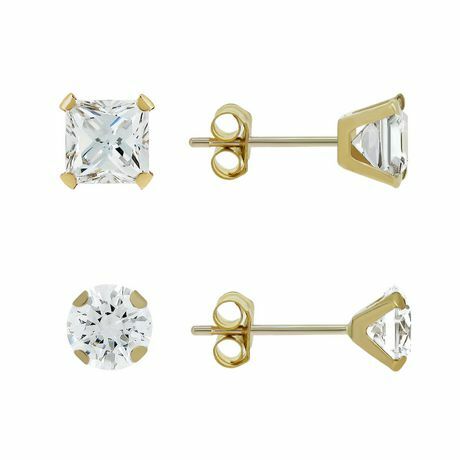 The earring posts are medium in length which make the earrings easy to wear for both children and adults. The earring set comes with a Aurelle gift box.